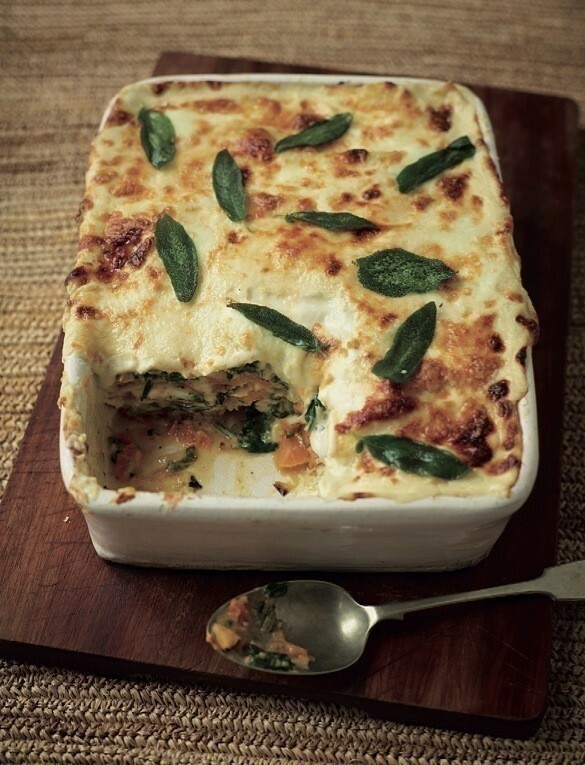 A large dish of this lasagne will bring the season to the table. This recipe may be vegetarian but it’s so delicious that many a carnivore will consider converting. Serve with a mixed green salad. the spinach has wilted, squeezing out any excess water. the whole sage leaves, flash-fried in a little hot butter. Aromatic and fullish whites like Chenin Blanc or a white Rhône.